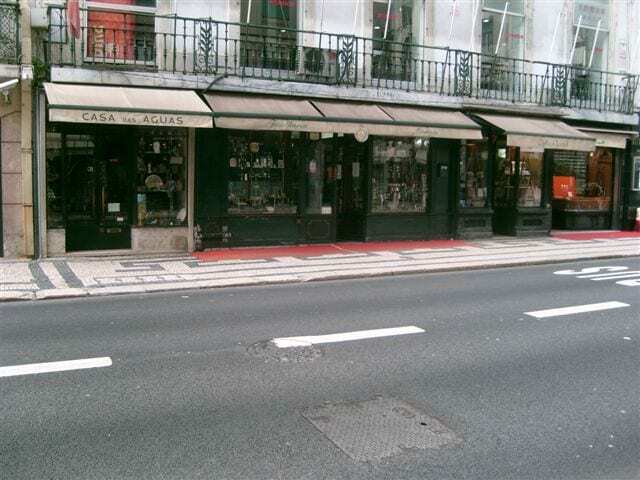 Being on the P & O cruise ship Oriana, its first port of call was Lisbon. We had stopped there once before in similar circumstances, so decided on doing our own thing this time, as against an organised day trip. 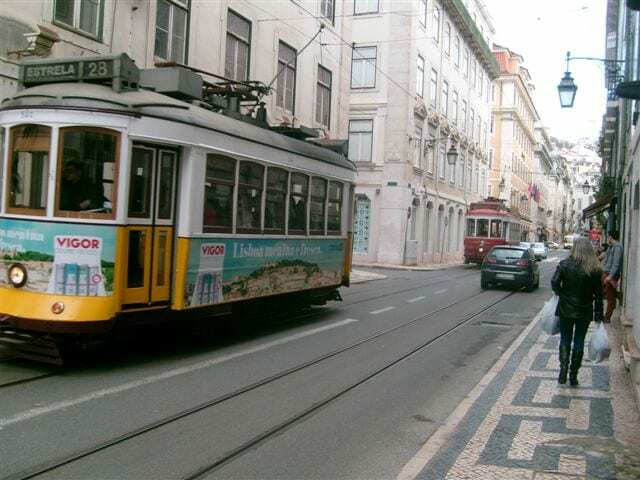 Lisbon is the capital of Portugal, and is on the mouth of the River Tagus. It has a huge 70 metre high road bridge that all sea traffic has to pass under, and our ship had clearance of 15 metres. More than sufficient but it made us look up. The traffic noise was loud, because the bridge’s road surface is mesh so you can see the cars as you crane your necks. On our cruise Oriana seemed to have a policy of free bus transfers from port to city centre where applicable. We took advantage of their generosity on the way in, being dropped off in the main square. This is where the buses and trams stop, but not much else for tourists. You have to walk a couple of blocks eastwards to the main tourist square. This is where you find the cafes, ‘designer’ sunglasses sellers, and shoe shiners. The men who sell the sunglasses are all mature locals, no Africans, and although persistent, know when the answer really means ‘no.’ We were in company for a while in this square with new shipmates, and our new male friend was offered ‘designer’ label sunglasses for 25 Euros. After some banter and bargaining in pigeon English, he bought them for Five. 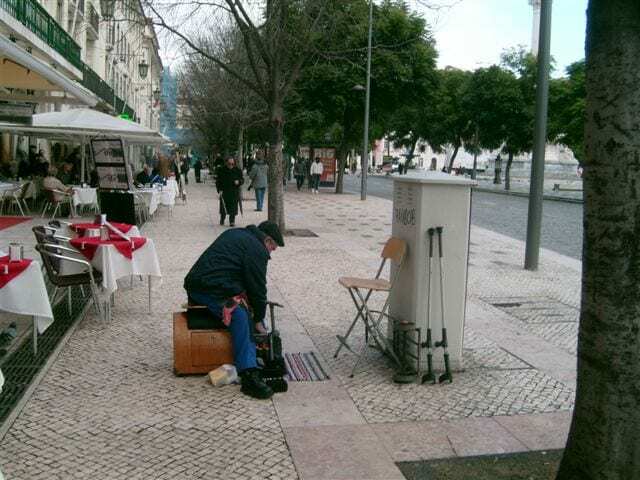 We speculated the possibility that the faltering Portuguese economy had resulted in men taking on a career change. 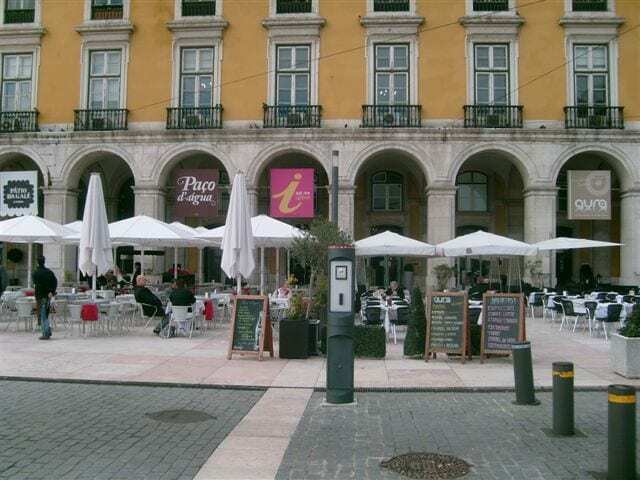 The square is probably four blocks wide, central part devoted to recreational area, trees, statues, and fountains. Very pleasant to stroll around, with lots of public seating, as well as stone steps to rest yourself. The buildings around the square were mainly apartments and offices, with some shops and cafes on the pavement level. A mature Englishman who apparently lived in Lisbon was arguing with the waiter when we arrived. Obviously, we listened, but didn’t join in. He thought that he had been taken advantage of, because the bill was considerably more than anticipated, even though he hadn’t examined the coffee and alcohol menu or prices. The customer then appealed to a passing policeman, to no avail. This was all done in a pleasant non-threatening way, street entertainment really. We both had a black Americano coffee, with one brandy between us, and that was a very generous measure. Very reasonable we thought at 12 Euros. In front of the pavement cafe was a shoe shine man. He was another mature gentleman, waiting patiently for the next customer. No going up to people, no selling his services, and in the half hour we were there he had two customers. I asked the waiter the going rate for a shine – 2 Euros 50. He received a ten Euro note from the second customer, who seemed to be a regular. 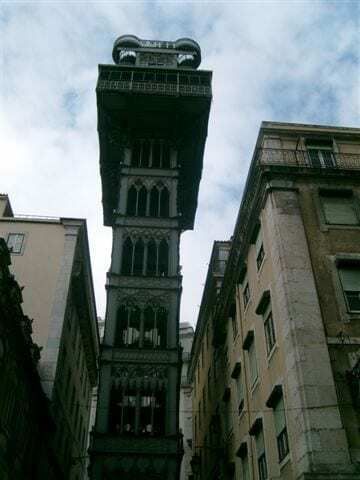 We walked through the narrow streets, loving the way that modern sat next to old. A lot of the buildings were boarded up, quite a few had graffiti. 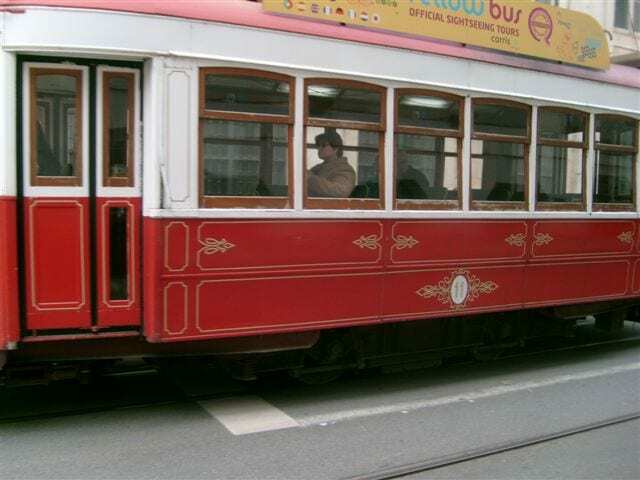 Some of the older buildings appeared to be at least two or three hundred years old, and then there were the Remodelado trams. 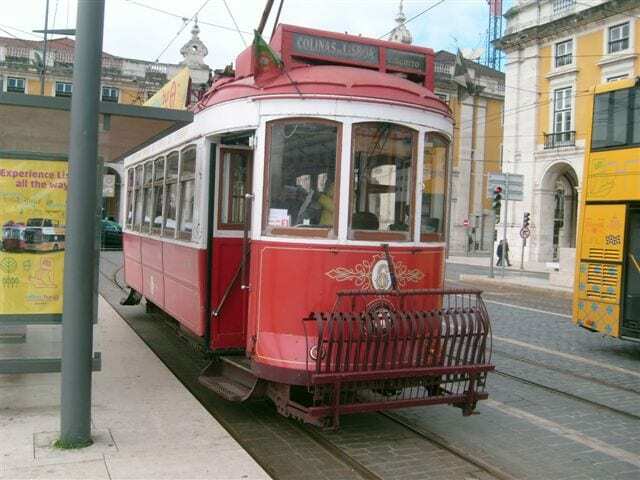 The tram system has been in Lisbon since 1873, initially horse-drawn then converted to electric in 1901. It has declined over the years, with five routes now left. Very popular with tourists, and also locals where the narrow streets are inaccessible to motorised traffic. 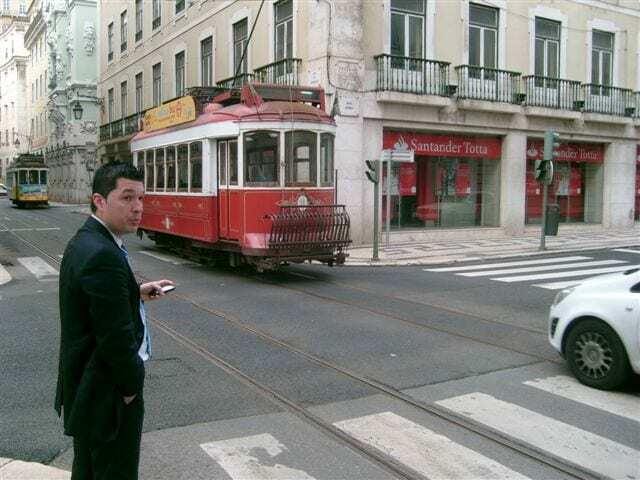 We spent as long as we could in Lisbon, before walking back to the cruise ship for afternoon departure. The walk was quite pleasant, a very easy route to follow, with the River Tagus on our right at all times. So, what did we think of Lisbon. A good place to visit, we could easily return and explore more for a long weekend city break. There is a surprising feeling of affluence in the main areas of population despite the graffiti and frequently pervading bad odours. 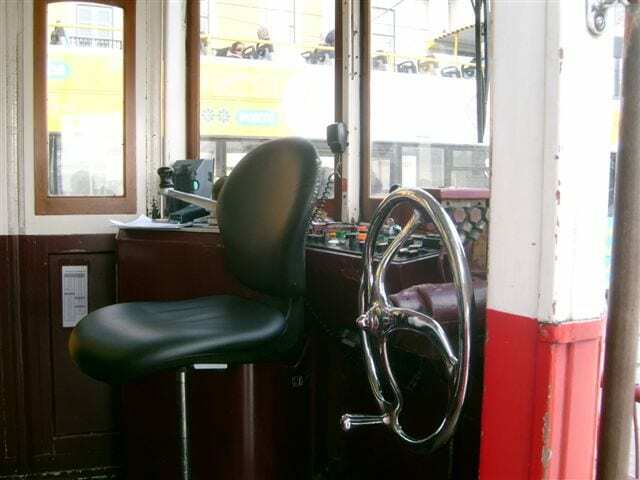 English is frequently spoken and understood, we felt safe at all times, the history and old buildings were memorable. Despite the fact that Lisbon is the only main European capital city with a declining population, we would feel comfortable recommending this lovely old city to visitors who want to return, or go to for the first time. Worth a visit. List of our Talented Writers’ Publications – great reads for everyone! Malta Diary Clans gather in Malta to make EU more user-friendly! Very few writers earn more than £10,000 annually. Harry is one of the poorer ones. He is no longer middle-aged, as he knows no-one who is getting on for 140. Literary success has come with an attempt at maturity – failed both – but marital stability with Pam has more than compensated. He is an accomplished speaker, talking on a variety of topics, including how not to run a hotel, buried secrets, and what’s it worth. See Harry The Talker. He has five published books, see Harry The Writer. He is Eastbourne’s only licensed sight-seeing guide see Harry The Walker. He has a daily blog see Harry The Blogger. The only site not purchased is www.harrytheeverything.com but that might come, who knows. He was a London funeral director for many years, then started Cheam Limousines in 1990, selling some thirteen years later. Arriving in Eastbourne in the Summer of 2003, Harry and Pam first bought a small guest house, then a large hotel, which proved to be disastrous because of their business partnership with a moron from California. He now walks, and talks, sometimes both at the same time.